Movement: jumping hour, automatic mechanical movement. Functions: hour (window at 12 o'clock), minute (central hand) and power reserve (window at 6 o'clock) indicators. Case: polished platinum. 42 mm diameter. Sapphire case back. 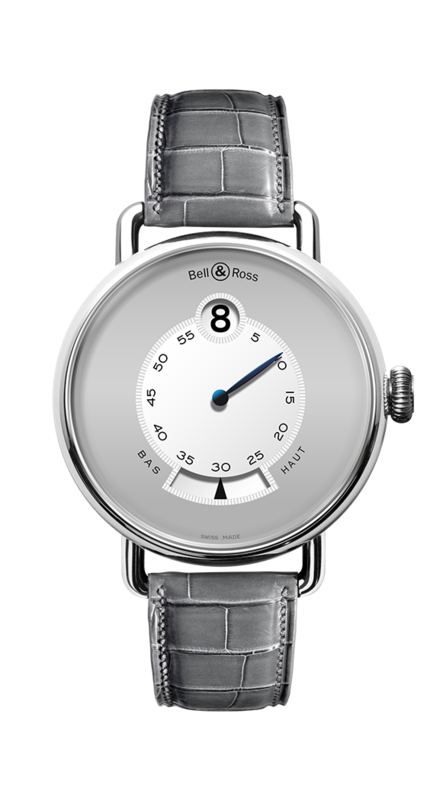 Dial: Grey and silver 18ct gold opaline dial with hand-applied guilloché.